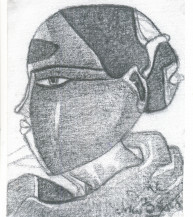 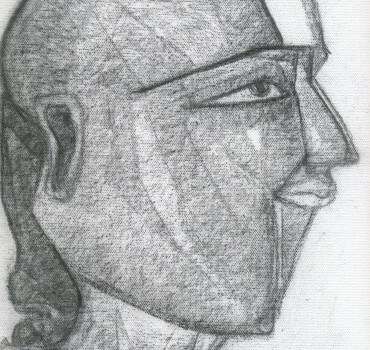 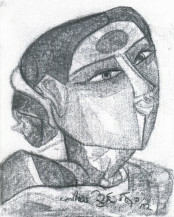 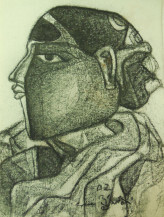 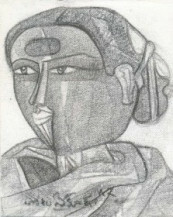 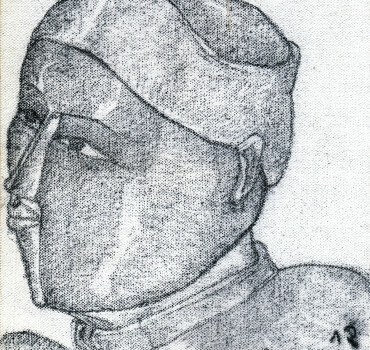 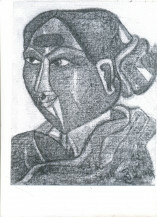 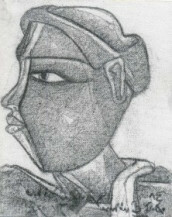 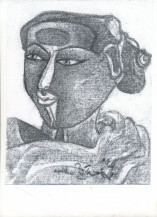 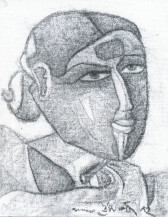 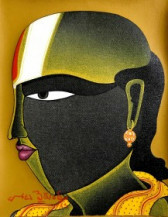 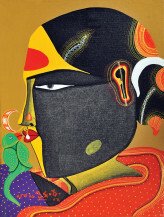 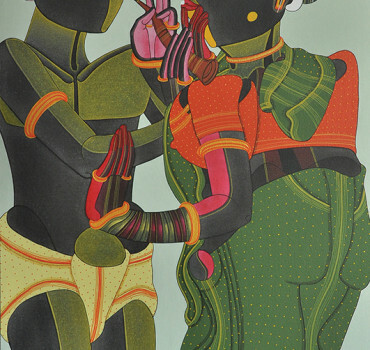 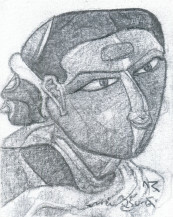 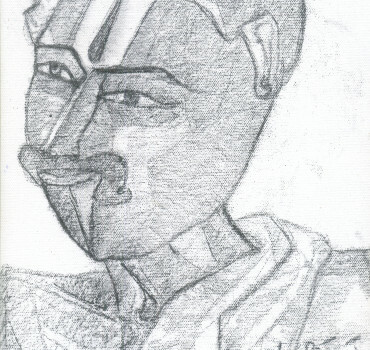 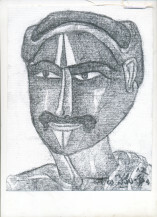 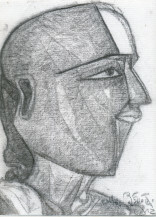 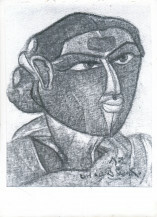 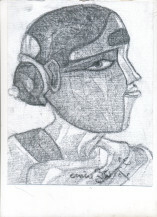 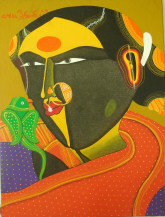 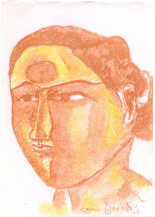 Thota Vaikuntam was born in Andhra Pradesh and studied at the College of Fine Arts and Architecture, Hyderabad. 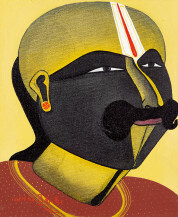 His paintings capture simple lifestyle of villagers like the paddy fields, toddy pots on shoulders of men, the household chores, temple rituals etc. 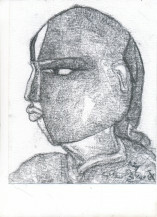 His drawings range from stark charcoal on paper, transparent washes and pencil drawings. 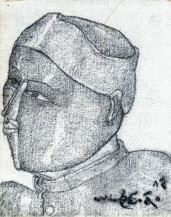 In 1971, he won the Lalit Kala Akademi Fellowship to study at the M. S. University, Vadodara. 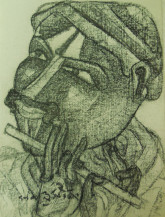 His works have been exhibited in New York, London, Birmingham, Germany, Los Angeles and Hong Kong. 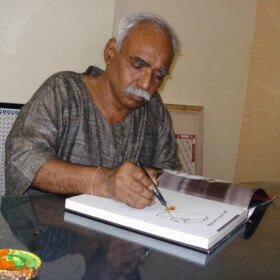 He has won the Bharat Bhavan Biennale Award, and the National Award. 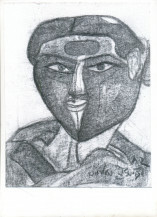 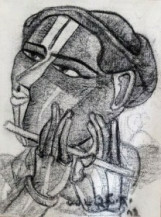 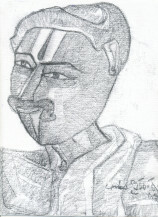 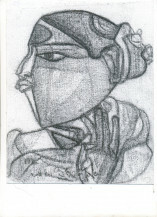 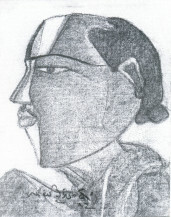 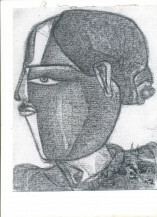 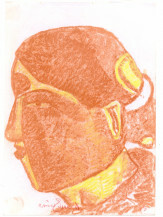 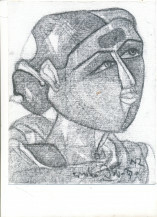 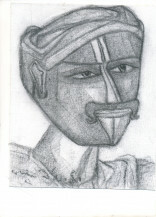 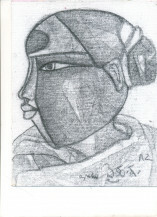 The artist lives and works in Hyderabad. 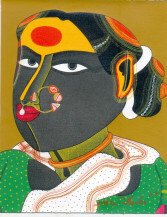 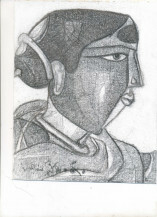 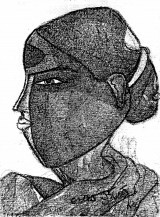 Telangana Woman 1 | 10" X 8"
Telangana Women II | 10" X 8"
Telengana Woman II | 10" x 8"
Telengana Man | 10" x 8"
Telengana woman-1 | 10"x 8"
Telengana woman-2 | 10" x 8"
Telangana Woman 2 | 10" x 8"
Telangana Woman 1 | 10"x8"
Telengana Woman | 10" X 8"